Are you a lazy investor? Do you avoid various actions in financial life which are often suggested as the “right decisions”? There are countless articles and videos these days which tells you that it’s important to have sufficient life insurance and health insurance. One should start investing very early in life so that they can create some good wealth to take care of their future. Like these, there are various things which are mostly the building blocks of a good financial life. But often investors avoid taking those decisions. The biggest reason why it happens is that we are all lazy investors who focus on NOW rather than FUTURE. If it’s not creating trouble for us right now at this moment, we keep postponing it and under estimate the trouble it can give us in long future. In short, the future trouble or problems we will face is imaginary at this moment. Today I will not talk about what will happen if you buy health insurance, but I will talk about what CAN happen if you do not buy health insurance. At one point in our life, when we start our career, we have ZERO wealth. There is no money in bank account and we struggle too much to start saving. Our salaries are less and we have just started our career. Our salaries are not much when we start our jobs, but our expenses start building up. Rent, groceries, Petrol, eating out and what not..
After a few years, suddenly we realize that we are just living paycheck to paycheck and we are not saving any money. Years pass by, but you have nothing worth calling “Portfolio”. In fact, it might happen that you are in credit card debt now and you are wondering if you will ever be able to retire RICH ! Then comes, a point in life when you realize that it’s enough and now you need to start saving money for future no matter what. Enough is enough. 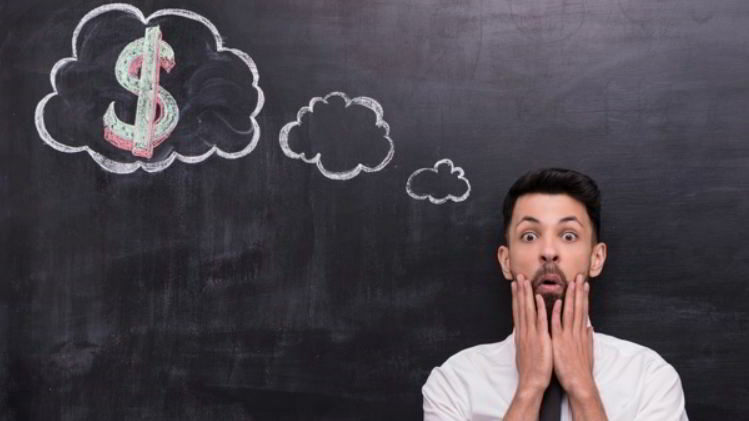 Somehow you start your first Recurring deposit or SIP in mutual funds. You start with a basic Rs 2,000 per month. Few months pass and you are happy to see that you have some savings now at your end. You are excited and want to make sure you do not break this new born habit. Few years pass by and you have done it! .. Congrats , you managed Rs 5 lacs in your portfolio. It took some years and lots of commitment to reach there. You feel like a winner and you now truly understand the joy of having a big amount lying in your bank account. What a relief and feeling of safety it provides. You are even more commitment to save now you plan to reach the target of Rs 10 lacs with next 2 yrs. You are happy and life is all good. Then one day, while going to office, some Rowdy Rathore in a Bolero who is trying to race his car with some unknown person hits your bike while you were on your way to office. It’s a major accident. You can imagine some other medical emergency in family if you do not like this example. The hospital bill comes to Rs 6.3 lacs. There was a surgery done to make sure you survive and you were in good hospital for 12 days. You had to take out all your money from the bank or mutual funds and additionally you have borrowed from your relatives/friends or swiped your credit card to complete the bill payment. After few months, you are back to life. But your financial life is back to square one. Your wealth is eroded. You did not protect your wealth from medical emergencies. We do not think like this about health insurance. We never see health insurance as a financial product which helps us to protect wealth. Buying health insurance is all about transferring the risk of paying the hospital bills to someone else. Health insurance does not protect your health. It can’t. Remember, starting your savings and investments is easy (not that easy), and consistently doing it for many years it very tough. What if I never get hospitalized? I exercise and eat healthy, why do I need any health insurance? Sorry, but you need to focus on WHAT IF IT HAPPENS , rather than what if it does not happen. Note that a health insurance product gives you a protection cover of a big amount every year. So if you buy a health insurance with cover of Rs 10 lacs sum assured. What you are accepting by not buying a health insurance? So finally, as a conclusion – When you do not buy health insurance, you are saying that I am ready to pay the entire hospital bill out of my wealth, every time it happens. I will take the risk of getting my wealth eroded by medical issues. Next thing I want to talk about is not saving enough money for future. You have a nice car, you eat out often and you are able to take care of all your house hold expenses right now. You also take short vacation often. This is all well and fine, if you are saving enough for future. But if your expenses are almost equal to your expenses, remember that one day will come when your income is going to stop permanently. But if you do not have enough wealth created by that time, the journey ahead will not be filled with fun. Imagine you retire with just 5 yrs worth of expenses in your bank account. How will feel to find yourself in a situation where you know that you require 100 units of money each money to live a comfortable life which you desired, but your wealth is only capable of providing your with just 40 units of money each month? Or 8 units? You will have to choose between a vacation and food on the table. Forget food on the table, you will have to choose between “cheaper” vs. “what you like” each time you think of what to cook for dinner. You might have to constantly worry, if a restaurant bill will be too much? It might sound very dramatic right now hearing all this, but the truth is that future is imaginary and it’s tough to plan for it. I am not saying that you should create enormous wealth by compromising today, but all I am saying that you should be well aware of how your decision of not saving enough today will impact your future. Most of the people who come to us for financial planning are already late in investing. We can’t fix it fully , nor do we give them false promises that they will retire as millionaire. But we make sure that they make the best of the years ahead. We make sure that whatever suggestions we make to them for their wealth creation aligns with what they want in life ahead. We plan for their goals and create a decent strategy to reaching those goals. Saving money right now does not give you any joy or benefit right now. Saving for future also means cutting down on something today hence we don’t do it. Saving for future means ..
What you are accepting by not saving enough for future? So finally, as a conclusion – When you do not save enough for your future, you are saying that I am ready to be dependent partially or fully on others for money and my day to day expenses. I am ready for a lifestyle which might be very different from today. I am ready to live a life which will come with daily struggle and stress about money. Accidents are called accidents because they are not planned nor they are expected to happen. Why are we so over confident that nothing can happen to us and bad things happens only to others? We all have recently heard about the Kamala mills fire news. Almost a dozen people lost their lives in that fire. One couple who lost their lives were actually sleeping when their friends asked them to join the birthday celebration of some other friends. They woke up and went there, but never to return. Life is very long and your loved one needs a lot of money to live comfortably. We need to make sure that we cover this risk by taking sufficient term plan for which we need to pay a very small premium. 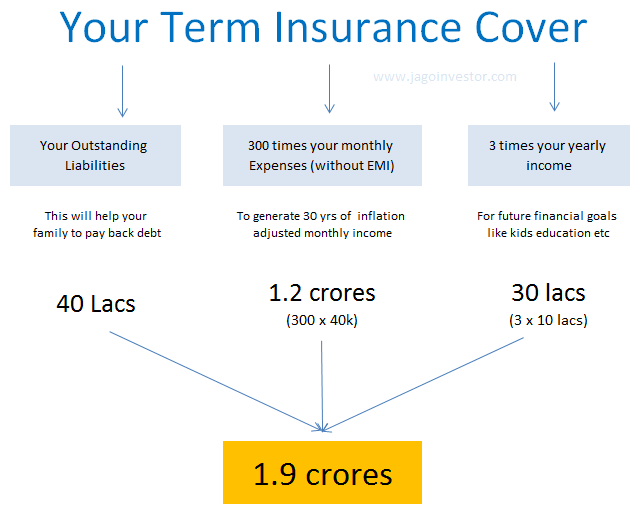 A family whose expenses is around 50-60k per month needs close to 2 crore of life insurance. If you leave behind a family who is weak financially, you are leaving them with the risk of being dependent on others for their survival. While you can’t prevent the emotional loss, neither you can minimize it. You can surely take action today to minimize the financial impact. How will the next 30 yrs of household expenses come from? Who will repay your debt? Who will pay for all the desires your family has? Where will they turn up to when they need money in cases of emergencies? What you are accepting by not buying a sufficient life insurance (assuming you don’t have enough wealth)? So finally, as a conclusion – When you do buy sufficient life insurance for your family, you are saying that you are ready to let your family face a lifelong financial suffering. Your kids and spouse + parents might be suddenly forced to live below the standard of living they are used to. Your kids might not get the same quality of education which would have been possible if you were there. After all, you park your money in FD/Saving bank and it grows in value over time. What’s the issue in that? The biggest problem is that your investments do not beat and outgrow inflation over long term. You get a feeling that your investments are increasing, but your purchasing power does not increase. Its goes hand in hand with inflation. So if you were able to buy 1 loaf of bread earlier, even today you will be able to buy the same 1 loaf of bread with the money you had invested in FD. Your life style will remain the same over the years, because your money is just growing as per inflation. To counter this, you need to invest your money in something which counters inflation, like equity. It can be stocks or equity mutual funds. 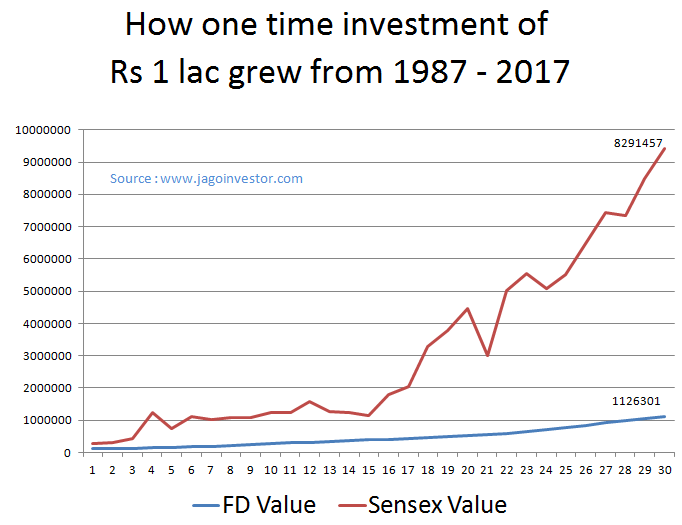 Imagine this, Rs 1 lac invested in Fixed deposits 30 yrs (year 1987) back is worth Rs 11.3 lacs today (year 2018). Don’t jump out of excitement. 11.3 lacs today is worth Rs 1 lac 30 yrs back in real terms. Consider two friends who were 30 yrs old in 1987 .. They were fresh into jobs and started their career. One invested 1 0 lac into FD for his retirement and other one invested 10 lacs one time in Sensex. One retires with 1.1 crores in hand and other one with 8.3 crores. One of them will get monthly pension of 7-8 times compared to other one. Just image the different between them and how they will feel about it. So finally, as a conclusion – When you only put your money in fixed income instruments all your life, and refrain from equity asset class, you are accepting that you will take the safe and secure path which has no growth element in it. You are ready to retire middle class itself. You are consciously accepting that instead of 8X money, you are ok with 1X money because you are not ready to take risk. When we start our career, we have no idea what a devil is this credit card or a personal loan. It’s as simple as BUY NOW and PAY LATER. How bad it can be after all? We feel we are in control of our self and we will take rational decisions when it will come to money. We think we are not going to make stupid decisions. But only after years, we realize that the game is not so simple. Once you depend too much on loans and credit cards, it becomes you way of life. You keep shopping and buying things you desire on debt, thinking that you will pay it later. It’s all about falling for instant gratification and there are millions of people in India who are deep into debt. There are people who have bought cars which does not justify their pay package, and many people have home loans which are much bigger that what they can truly afford. The biggest problem with this approach is that you become a slave of money. You have promised to pay all your future income, which is uncertain and which is not even earned. You will be now going to your job to earn money, not by choice but compulsion. Also, you are going to take less risk in life because you can’t afford to take much risk anyways now. If you do not like your boss, you need to keep quite because there is a sword of EMI hanging. What if you do not get appraisal? What if you lose your job? Also, you will be compromising with your wealth creation, because you have already consumed most of your future income through loans. Whatever you earn has to go in servicing your EMI’s and current expenses. There will always be less money for future goals, and this thought will keep on haunting you. We all take few loans in life and that has become the way of life, which is ok. I am not the person who advocates the concept of “Never take any loan” . But surely you need to control it and define the boundaries. If you get into the debt trap, it will be very tough to get out of it. So finally, as a conclusion – When you start depending too much on debt and overdo it, you are accepting that you will be working for money out of compulsion to repay it back. 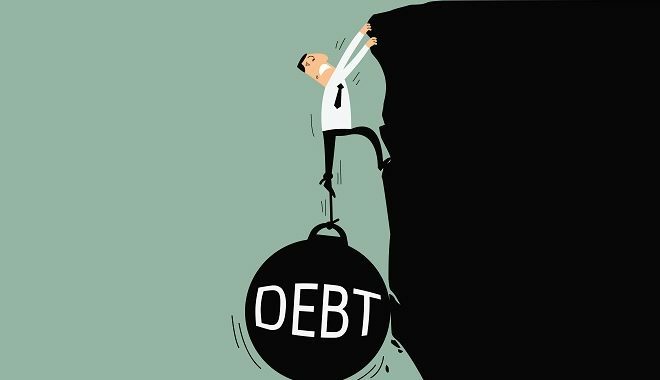 You agree to be constantly living under a pressure and feeling frustrated about your debt. You agree to be living a life where you will not be able to take much risk and do what you wish for, because you have EMI’s to take care about. Do let us know how many mistakes are you committing right now in your life? Was this article useful for you? Real related blog of our life and explained very well all necessary key points. One more point discussed in this post i.e. investment so anyone can start investing in online commodity market & make money with stock market knowledge. Thanks for sharing this post. Keep it up! Thanks for your comment Belva .. Please keep sharing your views like this..
I’ve been following your blog . I want to get in touch with you to discuss further. Amazing Article. pin point information !!!! Thanks for your comment ARUNKUMAR P G .. Please keep sharing your views like this..
Hi, I am working in IT with 30% tax bracket. Also, doing software consultation in India and US. Getting paid from the US in Dollars and India in Rupees. Q1. How should I pay my taxes? For my consultation work one of my client deducting the tax at 10%. Q2. Can I have two tax deductions from two companies? The 10% deducation you are talking about is TDS . You need to get your income calculated and tax as per your slab and then pay the remaining about after TDS . Do you need a CA help on this? Just one note, definitely, Credit Card may not be a bad piece of financial tool. All you need is to keep the discipline of not over-buying-attitude. BTW, it’s a wonderful article. Yes, agree with that ! I wish I could have read your blog 2 years before. I have lost around 40K Inr doing Stock Market Trading. Glad to know that you have learned that now ! Thanks for your comment AK Mishra .. Please keep sharing your views like this.. Thanks for your comment Gaurav Juneja .. Please keep sharing your views like this.. Thanks..As usual a very informative article. Can you please share your thought process on why it makes sense to go for an additional medical insurance if one has a company provided coverage of say, 5 Lakhs per year.